Why do we build on green belt? This project demonstrates why suburbia is bad for towns and how it can be avoided. At a time when the MBC and their housing developer partners are looking to build 19,000 homes on greenbelt land, over 200 sites lie vacant in the town centre. 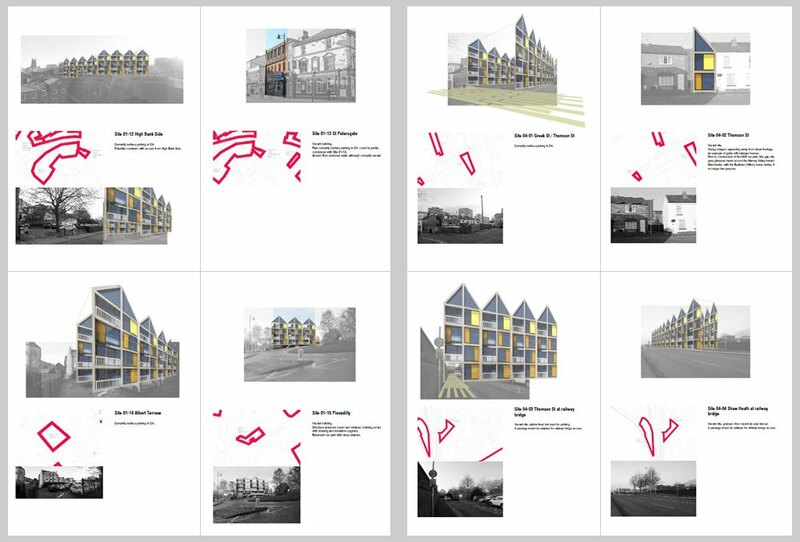 Each of these sites has been methodically surveyed, with a photographic record and speculation about their potential for housing and mixed-use based on generic typologies and density factors based on built precedent. 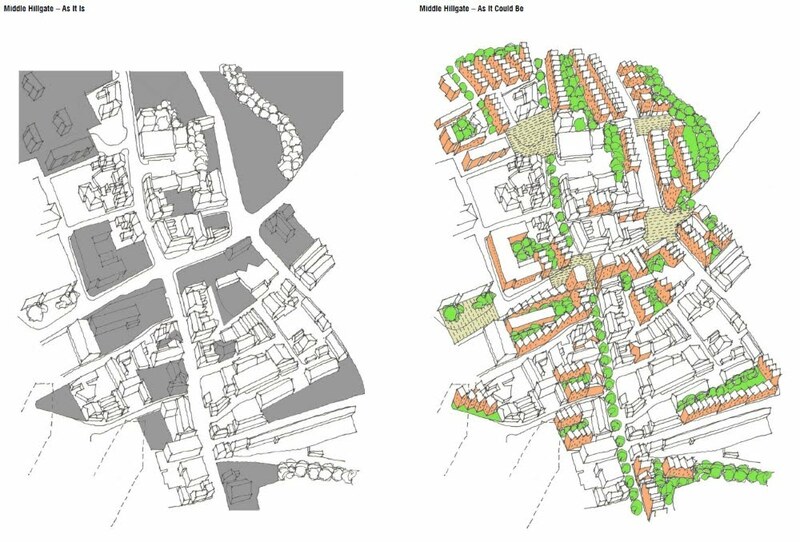 A sample 'quarter', that of Middle Hillgate, is elaborated as a connected group of interventions creating a varied landscape of living and working. Over 9,000 homes could be provided in the centre of Stockport. This suggests a total of over 270,000 homes could be built without any disturbance to the Green Belt. Or put another way, the 19,000 homes might be provided if only 7% of this type of site were developed across the Borough. If nothing else, this study forms a catalogue, of vacancy, neglect, and failed leadership. When planners no longer plan, private contractors are allowed to lead, and the result is suburban sprawl. A PLAN for central Stockport needs to be developed based on car-free pedestrian access and compulsory purchase, to make the place fit for human beings.